This is my first published game. Developed as a first person exploration game for a class at Playcrafting in New York, and made into a VR game for the HTC Vive. 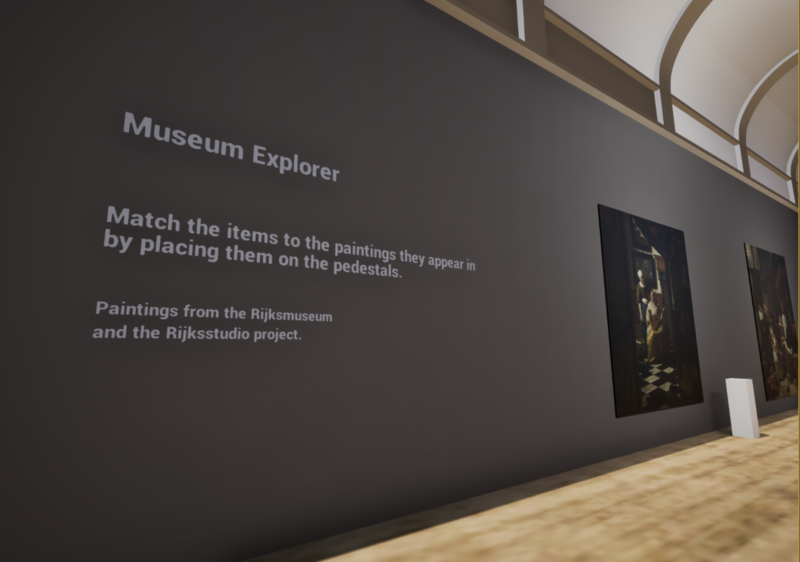 Pick up the items from the benches and match each item to the painting it appears in by placing it on the pedestal next to the painting. The paintings are from the Rijksmuseum's Rijksstudio Project.